Provides incredible versatility and durability—the ideal tyre solution for mixed-surface operations. With enhanced tread life, even wearing and puncture resistance, it’s the perfect choice for a variety of severe applications. CAMSO HAULER SKZ (Formally SOLIDEAL Lifemaster SKZ) is arguably the best performing block pattern tyre on the market today. HI-PLY MINING CASING – Ultra heavy casing construction, under tread and sidewall protection for the toughest of applications. MINING APPROVED – tested and proven for use in Australian under ground mining with ARNCO flat-proofing materials and Bearcat wheels. 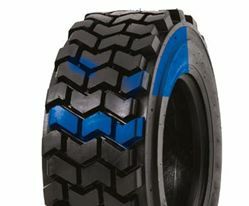 Original SOLIDEAL LIFEMASTER wide-wall; the original non-directional SKZ block pattern skid steer tyre. Designed for work and built to last.